January 24, 2018 - Like us now! A Pakistani student has gained the world’s highest marks in the Cambridge Mathematics exams. 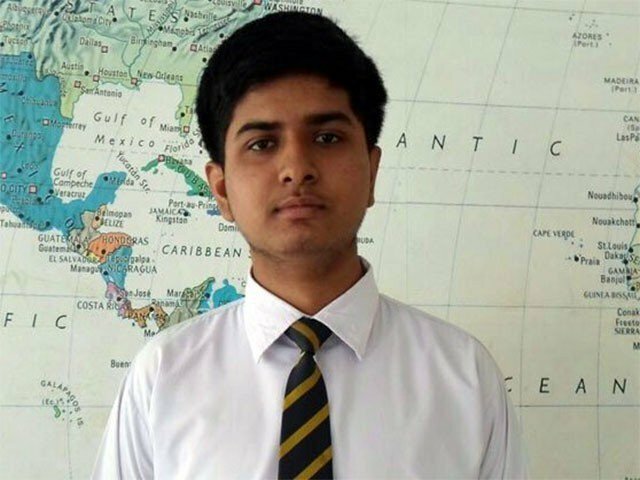 Muhammad Haider Khan, a student at Karachi’s Bahria College Karsaz secures the top position in Mathematics (Syllabus D) Cambridge Examination 2017. Muhammad Haider Khan thanked his academic institution for helping him to get this honorable recognization globally. In recognition of his achievement, Muhammad Haider Khan will soon receive the “Top in the World Award” from Cambridge for his extraordinary performance for a single subject in Mathematics (Syllabus D). This award refers to the learners who have gained the highest marks in the world for a single subject. The award will be given by the Cambridge Institute. A spokesperson of Pakistan Navy said in the statement that Haider achieved a significant position in the subject and this proves that the Pakistan Navy is promoting quality education in their educational institutes and they aim to promote the educational as well as extracurricular excellence among their students. Pakistan has great potential in the fields of the STEM by presenting their performance with the passion for learning and to accomplish their goals. For this purpose, second Lahore Science Mela is going to held at Ali Institute of Education on 27th of January to explore the potential of Pakistani youth in science. The event will be showcasing exhibits ranging from robotic kits and many other innovative gadgets.